ProAm Auto has 25+ years of experience helping people choose the right suspension for their needs. We carefully select the brands we offer based on quality, performance, and value. We personally use these products on our own vehicles. We recommend these brands and trust them on cars, trucks, SUV’s, and motorhomes for our families and our friends. Have a look at each and decide for yourself. If the vehicle is fitted with hydraulic shock absorbers as standard, switching to gas pressure shock absorbers (BILSTEIN B4) will optimize the driving stability, road holding, comfort and safety of any normal vehicle. Vehicles originally fitted with standard gas pressure shock absorbers only retain their driving performance if replacement gas pressure shock absorbers are fitted when the shocks are exchanged. Switching to mono-tube gas pressure shock absorbers (such as BILSTEIN B6) improves the vehicle's overall driving performance and provides greater damping force, thereby improving safety and fun at the wheel, even under heavy load, for example, with high superstructures, gas units or when used with trailers. KONI is the premier manufacturer of adjustable shocks in the world. Our shocks are made from the highest quality raw materials and machined to the highest tolerances. This quality allows KONI North America to offer a limited lifetime warranty on our shocks. Rancho is a name synonymous with off-road performance. We offer all Rancho products from 5000 series replacement shocks, to the new 7000 series mono-tube and 9000 series adjustable off-road performance shocks. We also carry Rancho’s complete line of lift-kits, and other off-road accessories. If you go off-road, Go Rancho! Hellwig Products has designed and built some of the best heavy duty suspension upgrade components available for trucks, SUV’s, and Motorhomes. Hellwig also makes performance suspension pieces for Muscle Cars, both vintage and modern. If you need to control a heavy load, or control the corners, look to Hellwig for your needs. 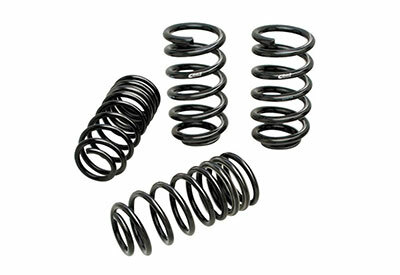 Anti-Roll Bars, Load Levelers, Helper Springs, RV Springs and Air Lift components. The chassis of a street vehicle is designed to be built at a minimum cost, and suited for an "average driver". We enthusiasts, however, are anything but average. We know what we want from a vehicle. We want immediate response, reduced body roll, increased stability and enhanced cornering ability. And we want the look that comes with those characteristics---a lower, more muscular, more athletic stance.Eibach offers lowering springs, strut & shock kits, as well as fully adjustable coil-over kits for many of today’s hottest performance cars and trucks. If you have the “Will to Win”, win with Eibach!